You can reaffirm the debt and keep making car payments like always. Though a reaffirmation agreement isn’t always necessary, a car company can repossess a car after a Chapter 7 even if you are current with the payments. Some car companies will not do this, but they have the right to. Because a reaffirmation excludes the car debt from your discharge, you should be careful when signing it. You should be sure that you will be able to make the payments because you could be liable for the part of the debt that is not paid when the car is auctioned off if it is repossessed. This part of the debt is called a “car deficiency,” and if it occurs before filing a bankruptcy, it can be totally wiped out. You don’t want to have no car and a car deficiency to deal with after you file bankruptcy. However, if you can make the payments, keeping current on a reaffirmed car debt is a good way to reestablish credit after filing. You can surrender, or give back, your car to the car company in bankruptcy. That way, you can walk away from an unaffordable car debt and not worry at all about how much the deficiency might be. After you file your case, your car is protected from repossession for at least a month, probably more, and that will give you time to find alternate transportation. A third option in Chapter 7 is a redemption. That allows you to pay the car loan off and keep the car by paying only the value of the car. If you do not have access to the cash to do this, there are banks that specialize in making redemption loans. A car is an asset in a Chapter 7. The equity in the car (or in the case of paid in full cars, the total value) is protected by a car exemption, which is around $3500 under state and federal exemptions. You can also stack a wildcard exemption on your car, which is as much as $11,975. If your primary car or additional cars can not be exempted, sometimes you can offer to “buy out” the trustee’s interest in the car by offering cash instead of the car itself. You can also file a Chapter 13 and pay the money that would have been generated by a liquidation of the car over five years. A Chapter 13 allows you to pay a car loan off over three to five years. With cars that were purchased over two and a half years ago, you can pay only the value of the car through the Chapter 13 plan. You can reduce interest and monthly payments as well. Once you complete the plan, you get the title to the car no matter how much you ended up paying. 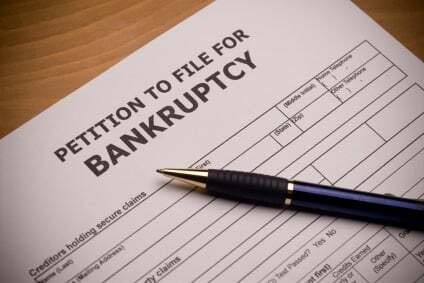 Your plan does need to be approved by a bankruptcy court first, and you may find yourself negotiating back and forth with a finance company before the plan can be approved. Having a good lawyer on your side is always essential to having your bankruptcy plan approved or “confirmed” by the bankruptcy court. Call us today or request an appointment to talk to an experienced bankruptcy lawyer at the Law Offices of Jason S. Newcombe. We can help you.